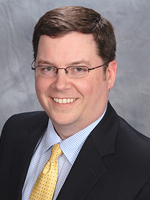 Brendan N. Keeley, Jacksonville Attorney, Baumann, Gant & Keeley, P.A. Brendan Keeley is a founding partner of Baumann, Gant & Keeley, P.A. and he serves as the managing partner of the Firm’s North Florida office located in Jacksonville, Florida. He is a member of the Florida Defense Lawyers Association, The Claims and Litigation Management Alliance, The Jacksonville Claims Association and the Defense Research Institute. Brendan’s primary areas of practice are all aspects of liability and casualty defense including wrongful death, transportation liability, premises liability, liquor liability, construction defect litigation, personal injury protection (PIP), tower crane liability, vertical transportation liability, maritime and admiralty claims, and all aspects of insurance coverage. Brendan is admitted to practice in all Florida State Courts and the United States District Courts for the Northern, Middle, and Southern Districts of Florida. Brendan regularly presents accredited seminars on topics such as claims adjuster ethics, Florida bad faith analysis and claims handling, personal injury protection (PIP) claims handling and defense strategies, construction defect litigation and insurance coverage. Brendan received his undergraduate degree from St. Thomas University (Miami, Florida) and his law degree from St. Thomas University School of Law (Miami, Florida). He served as an Articles Editor on the Law Review of the St. Thomas University School of Law and received the Articles Editor of the Year Award for his work during his final year of law school. Brendan currently resides in St. Johns, Florida with his wife and daughter.